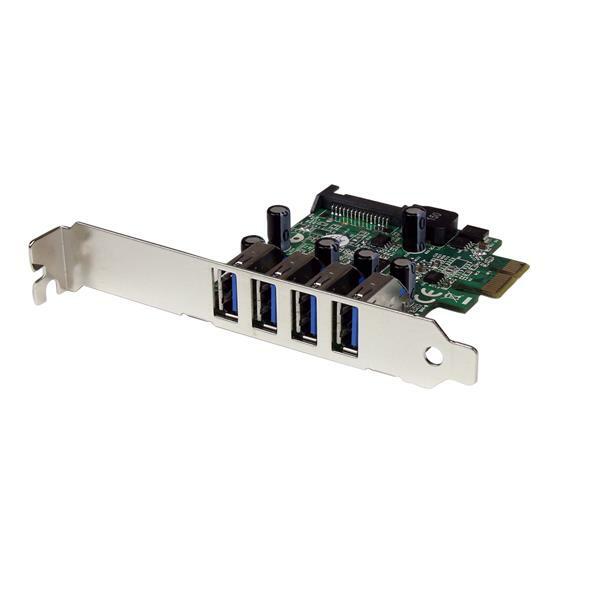 The PEXUSB3S4V PCI Express USB 3.0 Card (with SATA Power) adds 4 external USB 3.0 ports to any PCI Express-enabled computer system with support for data rates up to 5 Gbps, while remaining backward compatible with USB 2.0 / 1.x devices. 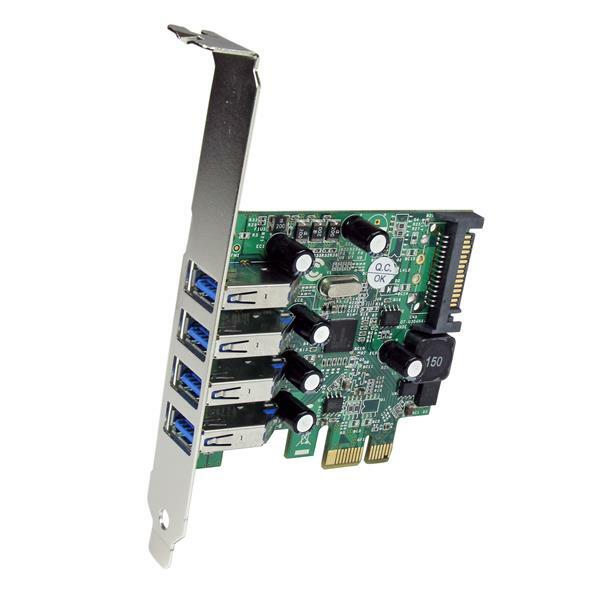 The card uses a "stacked" port layout that places the ports one on top of the other, enabling all four USB 3.0 ports to be external facing, while still allowing the card to fit into a small form factor/low profile computer system using the included low profile bracket. 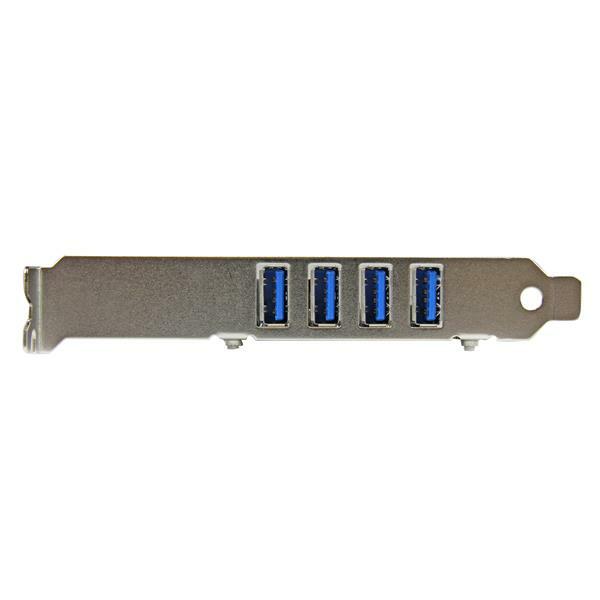 Plus, with a built-in SATA power connector, each USB port can provide up to 900mA of power to devices that draw power from a host bus connection (500mA for USB 2.0) by connecting to your computer power supply. UASP is supported in Windows® 8 and Server 2012. 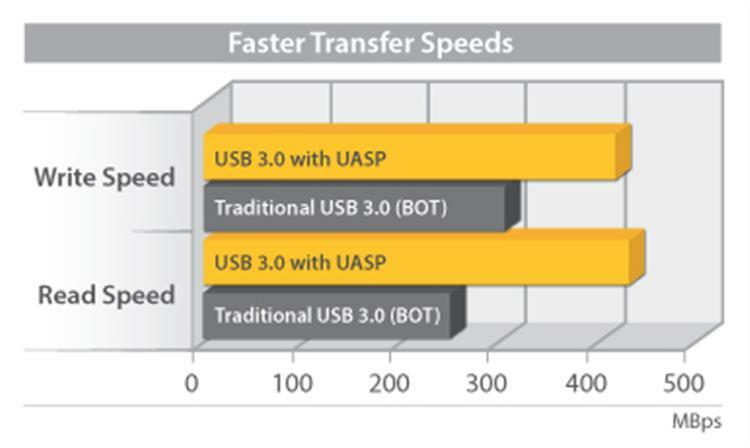 In testing UASP performed with up to a 70% faster read / 40% faster write speed over traditional USB 3.0 at peak performance. 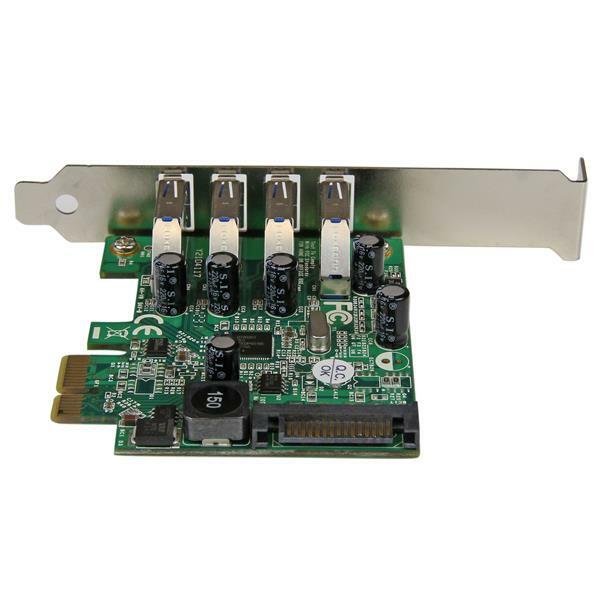 Expand a system's USB capabilities with four additional external USB ports, for connecting additional external hard drives, CD/DVD drives, MP3 players, printers, scanners, webcams, game controllers, digital cameras, etc.